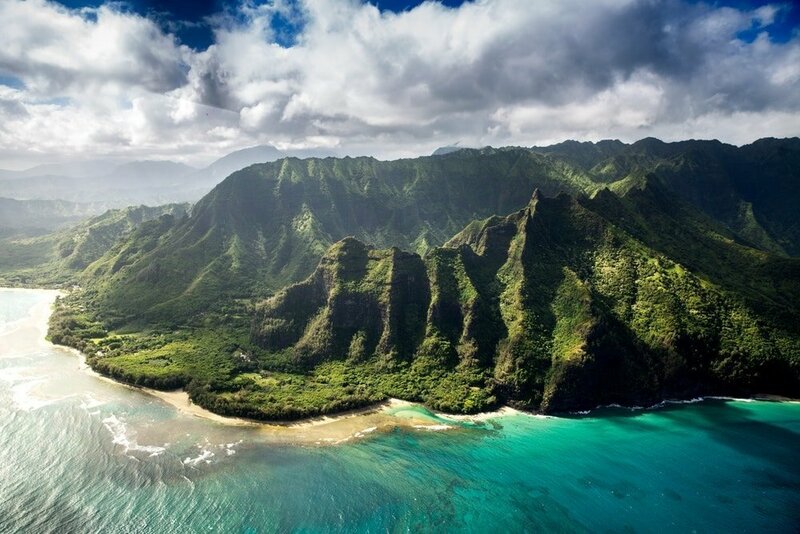 Malama ‘Aina means to nurture and care for the land. So, here at Malama ‘Aina Chem-Dry, we strive to nurture and care for both your family and Oahu. Chem-Dry’s effective cleaning solution is green, clean, and non-toxic. While there may be several professional carpet cleaners on Oahu, Chem-Dry gives your family the driest, cleanest, and healthiest cleaning. For the most effective carpet cleaning, we use the power of carbonation to extract more dirt and soil from the deepest fibers in your carpets. Our carbonated cleaning solution allows a deeper clean and uses a fraction of the water that traditional steam cleaners require. As a result, your carpet dries in a few hours instead of a few days and prevents mold and mildew growth underneath your carpets. 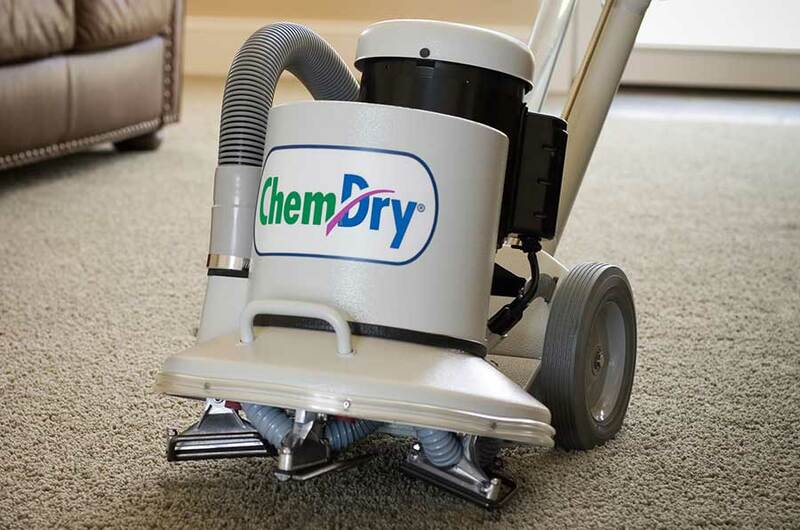 Watch this short video to learn more about our innovative Chem-Dry carpet cleaning process. You’ve spent a lot of your hard earned money on high-quality carpeting for your home and we want to help you take care of it. Our carpet cleaners make sure that every carpet cleaning or stain removal need is taken care of. Additionally, that is done in a prompt, professional, and friendly manner. When it comes to carpet cleaning on Oahu, our reputation speaks for itself. No one else on the island provides state-of-the-art equipment, eco-friendly carpet cleaning solutions, or the fantastic end result Malama ‘Aina offers. Carpet cleaning is a tough and expensive task to take on yourself. Save time, money, and effort and let our team do what they do best! You probably already know steam cleaners work. They pump water into your carpets and then attempt to extract it all. You may also know that this usually leaves your carpet sopping wet for a few days before it dries. At Malama ‘Aina Chem-Dry, we use 80% less water and your carpets dry in a few hours. Our carbonated cleaning method works similar to the way club soda removes stains. The carbonated bubbles reach deep into the carpet and break up the dirt and grime that has settled to the bottom. The dirt is brought up to the surface and our powerful cleaning equipment then extracts it away and leaves your carpets with a deeper clean. Our carpet cleaning process doesn’t leave any dirt-attracting residue the way other cleaners often do, so you know your carpets will stay cleaner for longer. We always use our all-natural and green-certified cleaning solution to clean your carpets. With Chem-Dry, you don’t have to worry about any harsh soaps or chemicals being around your kids and pets. Our low-water method means there is far less risk of mold and mildew growth under your carpet, which often occurs from the excessive water left behind by steam cleaning machines. Additionally, an independent air quality lab found that our carpet cleaning method removes 98% of common allergens in your carpets and upholstery and 89% of airborne bacteria. All of this adds up to a safer carpet cleaning that you can trust is healthier for you, your family and your home. Our deep and healthy carpet cleaning service on Oahu is sure to exceed all of your expectations. The Carpet and Rug Institute (CRI) designated Chem-Dry as a company deserving the CRI Seal of Approval for the innovative and unique Hot Carbonating System. This program identifies effective carpet cleaning solutions and equipment that clean carpet right the first time. Our products help to protect a home or commercial facility’s carpet investment. The blue and green CRI Seal of Approval is proof that you are investing in quality service. Our deep and healthy carpet cleaning on Oahu is sure to exceed all of your expectations. 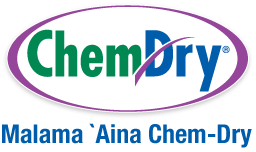 Malama ‘Aina Chem-Dry is preferred by customers and professionals alike. The Carpet and Rug Institute (CRI) designated Chem-Dry as a company deserving the CRI Seal of Approval for the innovative and unique Hot Carbonating System. This program identifies effective carpet cleaning solutions and equipment that clean carpet right the first time. Our goal is to help protect both home and commercial facility’s carpet and upholstery investments. The blue and green CRI Seal of Approval is proof that Chem-Dry carpet cleaning is a quality service.